Aventurine is a brave young dragon ready to explore the world outside of her family's mountain cave... if only they'd let her leave it. Her family thinks she's too young to fly on her own, but she's determined to prove them wrong by capturing the most dangerous prey of all: a human. But when that human tricks her into drinking enchanted hot chocolate, she's transformed into a puny human girl without any sharp teeth, fire breath, or claws. Still, she's the fiercest creature in these mountains -- and now she's found her true passion: chocolate. 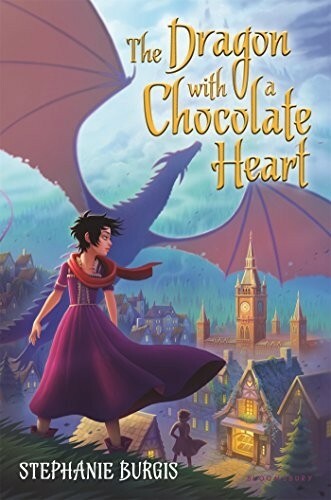 All she has to do is get to the human city to find herself an apprenticeship (whatever that is) in a chocolate house (which sounds delicious), and she'll be conquering new territory in no time... won't she? A classic fantasy with terrific girl power, perfect for fans of Shannon Hale and Jessica Day George! 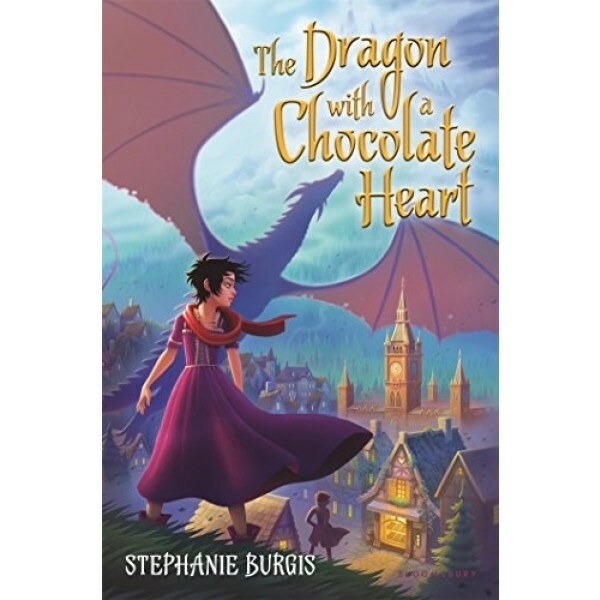 Fans of this book will love the companion about Aventurine's friend, Silke, The Girl with the Dragon Heart.